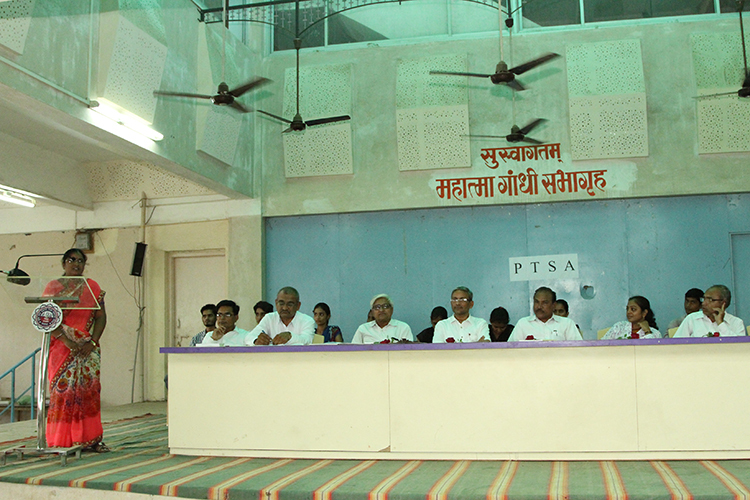 PTSA (Parents Teachers Students Association) conducts parents meeting in which the parents voice their opinions and their inputs are positively taken, irrespective of the source from where they have been received, may they be from formally educated or un-educated individuals. The main view was to meet the expectations of the Vision and the Mission in the truest sense. The college has appointed teacher parents for a group of 50 students to monitor the general discipline, academic and non-academic performance of the students. To track the progress of students, the teacher parent relies on the record of attendance and marks of internal and external examinations kept in the department. The teacher parents of our college interact with the parents in the PTSA meetings and appraise the parents about the performance of their wards. Proper guidance, counseling and help are given to them. The Teacher parents encourage them to take part in extra-curricular activities also. The students who need psychological boosting or the candidates who are psycho-socially left-out are given psychological counseling by the experts in the counseling cell. In fact each faculty in the college acts as a true friend, philosopher and a guide for the students.